For many consumers, busy schedules make it hard to squeeze everything into one day, and something usually ends up on the back burner. Now, a new study conducted by researchers from McMaster University makes it that much easier for consumers to fit exercise into their day-to-day routines. The researchers found that climbing stairs in short intervals can work to improve cardiovascular health. The researchers based their study on previous research that involved sprint interval training (SIT) -- the idea that intense exercise in small increments can have beneficial health effects. The researchers tested if the same positive health benefits would occur by climbing stairs; they had participants who weren’t regular exercisers test their hypothesis. 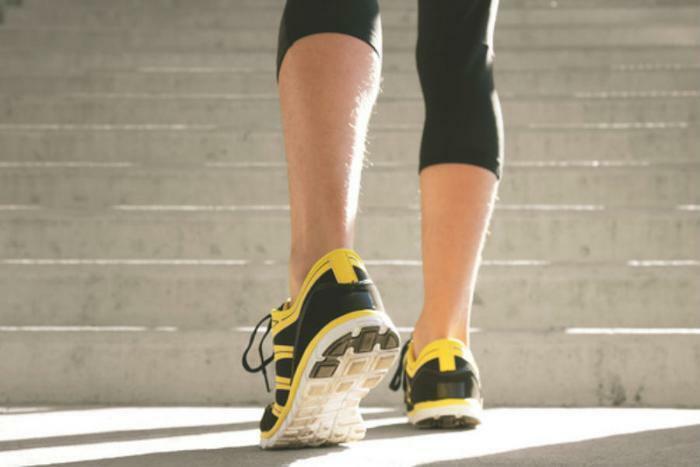 The participants exercised three times per week for six weeks, climbing three flights of stairs -- 60 steps -- three times per day. Each exercise session was separated by one to four hours of rest. When compared with a control group who didn’t exercise, the researchers found that the exercise group not only showed better cardiovascular health, but they were also stronger than their non-exercising counterparts by the end of the test period. Many consumers let exercising go by the wayside, as it can be seen as too large of a time commitment. However, based on this study and other recent studies, consumers can feel the effects of exercise without spending hours in the gym. Researchers from the University of Texas Southwestern Medical Center found that one single workout can affect consumers’ metabolisms for up to two days. Similarly, researchers found that one minute of running per day can help bone health in pre-menopausal and post-menopausal women.